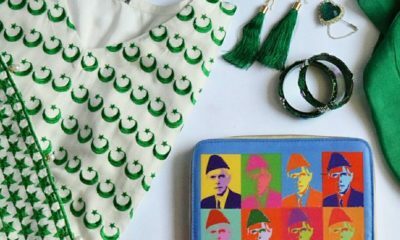 Alhamdulillah 68th Independence day celebrations are going nationwide as well as worldwide! I wish my country, my homeland stay successful and independent forever. Our Nation is facing many issues at the moment but with Quaid-e-eAzam Muhammad Ali Jinnah‘s motto we can always find inspiration. Unity-Faith-Discipline. That’s it.. 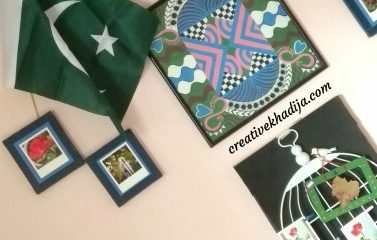 I am glad to know that my dear readers are curious with a sneak peek of my Independence day crafts & creations work-in-progress post. This is what I wanted to do until I reveal the final look. 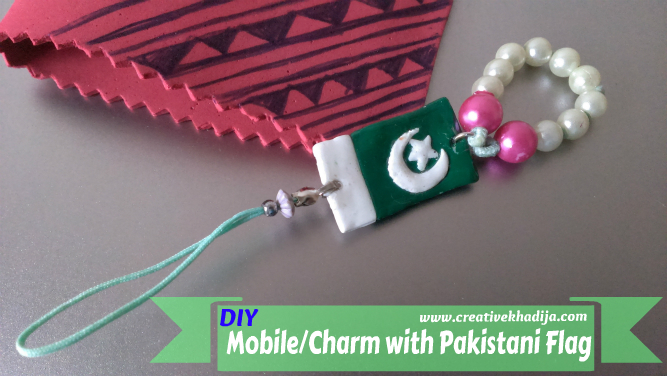 So here it is the cute charm mobile of Pakistani beautiful flag. 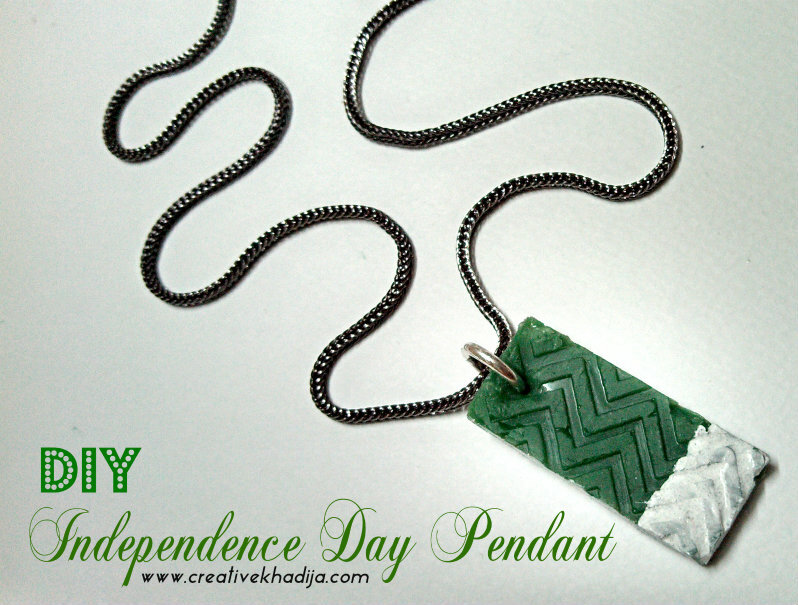 Let’s see how I made it..
You will need to have polymer clay, cutter, platter, scale, Modpodge & charm ring with beads. Have a look at the simple steps now! 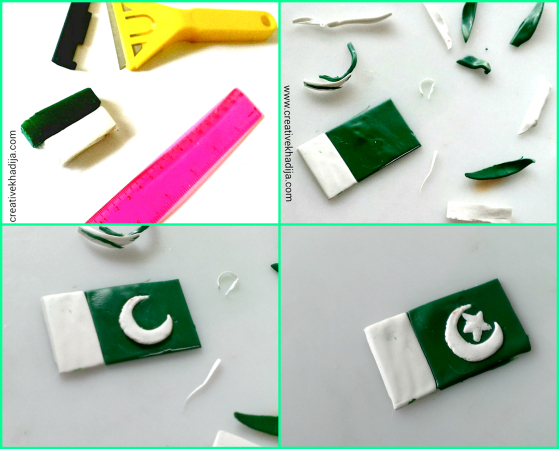 Cut some small pieces of clay & make these round bolls, press them & put together, press again & cut from all four sides for making a flag look. The left over white clay will be enough for making a chaand sitara, half moon & star ! press a little with hand. I craft these freehand, but you can trace on butter paper and then cut carefully with a sharp knife or cutter. use mod podge DM for sticking these! Be sure to make holes at both sides! so you can fix any jump ring there! Bake it in the microwave at lowest medium & for one minute only! wait until it gets cool, then use mod podge dimensional magic for sealing the surface! I put some pearl beads in an elastic band & tried to finish it like a bracelet.. but this went a craft fail as bracelet because the elastic band was short in size and I have to transform it by making something else now! There we go.. it’s done! 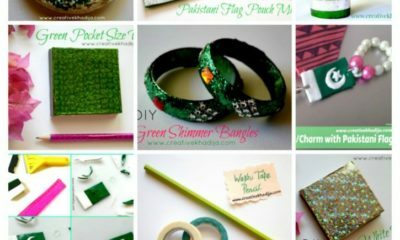 Craft fails are important part of a crafters life! 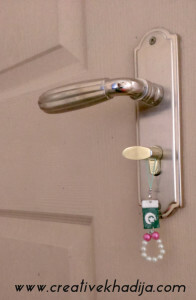 so no worries if there is a craft fail ;) I put another thread & bead to make it a proper charm for hanging with any cell phone. It’s great to have a tiny flag in hand this way! 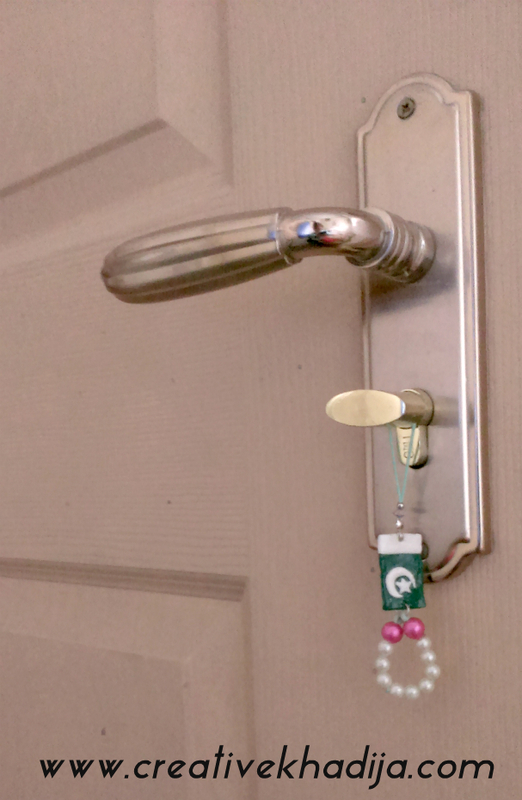 When I apply Mod Podge & were waiting for it to dry, I hang the charm on my room handle & It was looking cute there! So I capture a click.. This is an interesting mobile hanger, You can hang anywhere in your room as well. 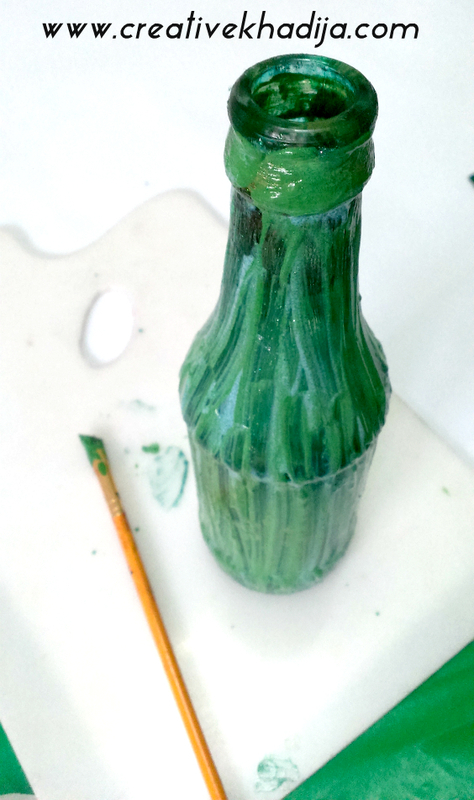 As I have discussed in my previous post, I painted a green bottle with glass paint & used some glitter. Remember? So here I am announcing it went boring as Craft Fail. haha.. Would you like to have a look? This is the end result.. First I glass paint it, then glittered.. but when I tried to make it color darker with green extreme glitter glue so it turned out as an extreme craft fail..haha. but I am not going to throw the bottle, I will be making something else with it. May be I will cover it with some washi tape? I have no idea though..but I will make it again! I enjoyed making and failing sometimes! I am not afraid of craft failures, because they always give me great experiences & the next try is always better ( in fact best ). So keep creating and learning smartly! Have a look at my other clay & dough crafts tutorials. 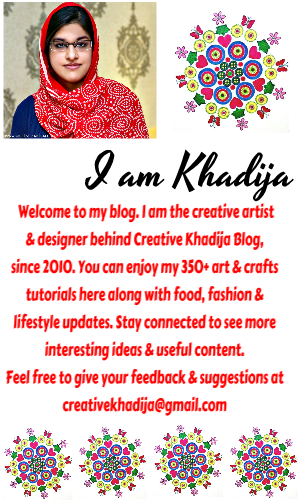 I hope you will like my DIY ideas! wow this is really creative .. 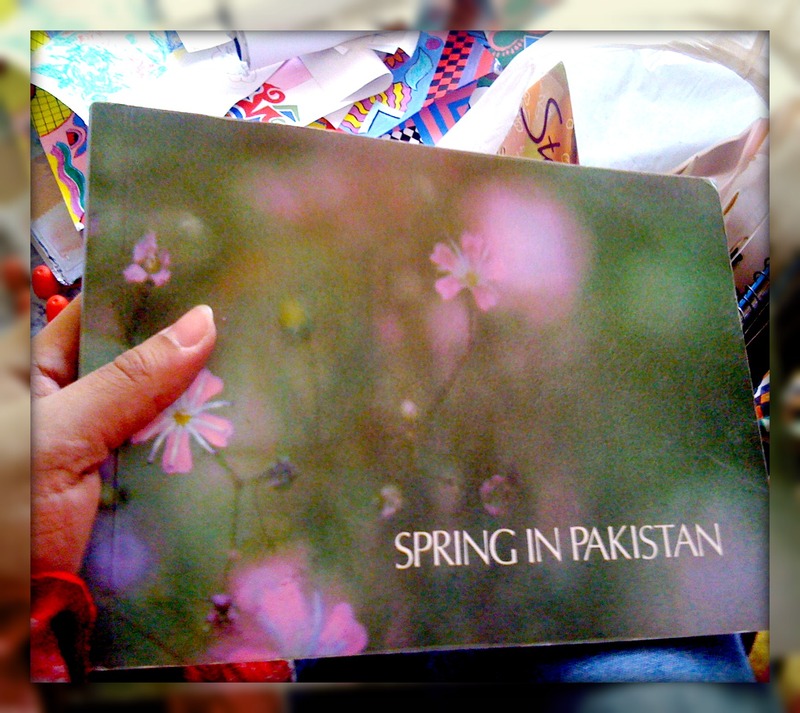 It looks so beautiful dear. Thanks a lot, so nice of you! Thank you Pita for appreciating my work! Enjoy! you always come up with really nice and innovative ideas, you are very talented.